At N Price our team of plumbing experts are ready to handle any domestic plumbing issue you may have, no job is too small! From leaky taps, to toilets not flushing and complete bathroom installations. We can take care of all your plumbing needs. Call us today on 01273 840997 or email office@npriceltd.co.uk, for our no fuss services. 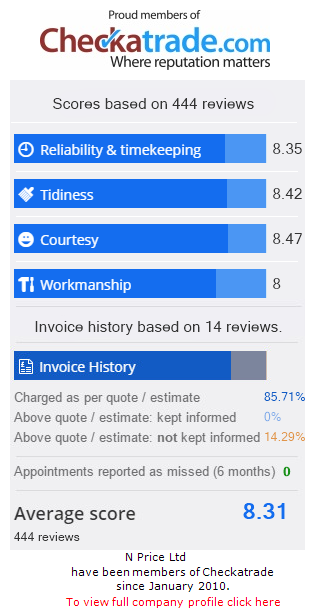 We’re well known throughout Brighton and Hove for our fast and professional finish, great prices and what’s more we’ll even guarantee our work.So next time you need a plumber, don’t stress, just give us a call and we’ll get you booked in. Subject to seasonal demand we can offer a same day service.